Maintaining a pristine environment is absolutely critical to the success of food manufacturers. Unhygienic conditions within food manufacturing plants can have a potentially catastrophic impact on public health, not to mention the public relations and revenue impact on the company in question. It is not surprising, therefore, that increased consumer awareness and demand has seen safety standards become increasingly rigorous. It is vital that companies manufacturing weighing equipment for the food industry ensure that the products they supply comply with best practices and meet strict legislative requirements. On a food production line, fast and accurate check weighing is vital to a company’s bottom line – the visibility of weighing data and statistics can help maximize performance and profitability – but the equipment chosen must meet stringent design requirements when it comes to construction and ease of cleaning. With U.S. Food and Drug Administration (FDA) deadlines for small and medium sized companies to meet requirements of the Food Safety Modernization Act (FSMA) hitting in late September 2017, the industry is under pressure to deliver high quality food while also meeting the requirements of this new legislation. The date for registered companies with greater than 500 employees to comply with the first FSMA rule Preventive Controls was September 2016. For companies with fewer than 500 employees, the compliance date was September 2017. Why is the FSMA being implemented? The new rules are intended to minimize the serious illness and death that can be caused by unsafe food products, by focusing on preventing food contamination throughout the entire production process. Hazard Analysis and Critical Control Points (HACCP) is a systematic, preventive approach to food safety from biological, chemical and physical hazards in production processes that can cause the finished product to be unsafe. It focuses on the hazards that are unique to the product being manufactured, so the concerns for a seafood processor will be different from those of a coffee roasting company. With the implementation of FSMA, HACCP becomes a part of a food manufacturer’s compliance to Hazard Analysis and Risk-Based Preventive Controls (HARPC). In short, the FSMA act aims to ensure the U.S. food supply is safe by shifting the focus from responding to contamination to preventing it. This risk-based, preventive approach to food safety relies on data and expertise to pinpoint potential food safety issues along the production, distribution and supply chain. The FDA has advised that facilities should set up a thorough system for documenting internal processes and record keeping, so that they can clearly demonstrate that legal standards are being met. Updating weighing equipment to more hygienic options, such as stainless steel and a fully enclosed cover for easy and efficient washdown. Ensuring that weighing equipment is used effectively: for instance, using checkweighers at appropriate points in the production process to obtain and record production data. Weighing solutions such as the ZQ375 or IP rated bench and indicators can help food suppliers to achieve both backward and forward traceability (be able to identify where all the ingredients came from and where they went). Using the right scales to provide the most accurate, legal for trade weights, to avoid mislabelling and eliminate costly mistakes or re-works. IP69K enclosures ensure instrumentation protection in heavy washdown environments. Many companies, regardless of size, need to be looking for digital scales and weighing systems to help them to align their current HACCP and HARPC processes in order to meet FSMA requirements. Equipment used in the food processing industry must be able to withstand rigorous wash-down procedures. Designed specifically to kill micro-organisms and bacteria, this heavy duty cleaning process typically uses high temperature, high pressure jet sprays and detergents. The combination of water, chemicals, high pressures and temperatures used in this cleaning process can prove fatal for electronic circuits and instrumentation. The Ingress Protection (IP) rating system is an internationally recognized scale that relates to proven protection against environmental factors such as liquids and solids. A product with the highest rating available, IP69K, offers complete assurance that it has been subjected to a challenging set of tests to ensure protection against penetration of high pressure, high temperature water and dust particles – making it ideal for use in conditions where equipment must be carefully sanitized. In the food industry, equipment such as check weighing scales may be subject to rapid temperature change, whether due to operating conditions or wash down procedures. Extremes of temperature inside and outside the enclosure can result in expansion and contraction of gases, which in turn can lead to moisture and humidity becoming trapped inside. The process of welding two pieces of stainless steel together can have implications for the corrosion resistance of the metal. Ideally, the surfaces of your equipment/scale should be continuously welded within an inert gas atmosphere – helping to ensure that the metal remains corrosion and crack resistant and that there are no edges or un-leveled surfaces that could trap food particles or impede cleaning. Areas of the product that have internal corners and angles of less than 135° – and which come into contact with food – should have a smooth, rounded finish to minimize food trap areas. Scale designs should, where possible, avoid flat horizontal areas to stop water from collecting. However, in some applications, offering a flat under structure base design can be more hygienic than open tubular base frames where high pressure cleaning can cause food particles to bounce off the work surface and lodge deep inside the loadcell area, making it harder to clean. Fully welded tubular designs can also be hard to clean. A welded structure can result in bacteria becoming trapped within the tube and thriving in the constantly changing atmosphere often found within the food industry. Conversely, base designs with flat bases and open corners ensure that any food particles can be quickly and easily washed away during high pressure cleaning. Threads should be covered and small components such as rubber feet should be well secured and bright blue in color, allowing them to be easily located should they become detached from the scale. Investing in a new digital check weigher scale is all about safeguarding quality and, fundamentally, profits – underweight packages can lead to unhappy customers, while overweight packages lead to costly giveaway and overweight shipments. When it comes to the food industry, safeguarding quality, profit and reputation must go one step further – selecting a piece of equipment that is fit for purpose is vital. To maintain food safety and meet the requirements of the act, it may be necessary for many businesses to upgrade to equipment that is more sanitary. Contact the sales team at Central Carolina Scale, (919) 776-7737 to discuss the products that we recommend. Avery Weigh-Tronix checkweighers feature stainless steel enclosures and are sealed up to IP69K, for washdown situations. These checkweighers are ideally suited for food and beverage applications, as well as pharmaceuticals, transportation and many others. With easy to use operator interfaces, users can clearly see the target level, speeding up operation without jeopardizing accuracy. 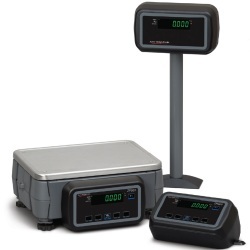 These checkweighers offer multi-connectivity and can be can connected with existing data systems for automatic reporting. Great News! Fully wash down compact light stack options ideal for the ZQ375 Checkweigher are now available! That’s 3 extra light stack options that could be easily used on the current Avery Weigh-Tronix ZQ375 Checkweigher. These new light stacks offer a more cost effective solution that can easy be installed to any new or existing ZM or ZQ375 Checkweigher indicator or indicator and base combination with no extra fabrication modifications required. This new compact light stack easily mounts directly to the side of the indicator using the same side stud as uses to clamp the indicator to the column or stand with no extra fixings required. Ideal when the ZQ375 indicator needs to be mounted away from the weight platform. The Avery Weigh-Tronix ZQ375 series checkweighers are ideal heavy-washdown scales built to meet stringent food hygiene requirements. Certified by NSF to NSF/ANSI Standard 3-A, the ZQ375 Checkweigher has been specifically designed to meet the stringent hygiene requirements of the food processing industry. IP69K rated for heavy washdown environments. Plus with the optional light stack, scale operators can easily see when items are under weight, over weight or within tolerance. The ZQ375 Checkweigher provides you with the information you need through Wireless, USB or Ethernet to maximize performance and profitability. Contact the sales team today at (919) 776-7737 or complete our online Request a Quote. Technology is always evolving and fortunately the engineers at Avery Weigh-Tronix are hard at work building high quality digital weight indicators that can handle a multitude of tasks. One of the recent upgrades that these scale controllers received is the ability to communicate via UDP. UDP is User Datagram Protocol. We’ll provide the wikipedia link below for additional information on the technology. The User Datagram Protocol (UDP) is one of the core members of the Internet protocol suite. The protocol was designed by David P. Reed in 1980 and formally defined in RFC 768. With UDP, computer applications can send messages, in this case referred to as datagrams, to other hosts on an Internet Protocol (IP) network. Prior communications are not required to set up transmission channels or data paths. UDP uses a simple connectionless transmission model with a minimum of protocol mechanism. UDP provides checksums for data integrity, and port numbers for addressing different functions at the source and destination of the datagram. It has no handshaking dialogues, and thus exposes the user’s program to any unreliability of the underlying network and so there is no guarantee of delivery, ordering, or duplicate protection. If error correction facilities are needed at the network interface level, an application may use the Transmission Control Protocol (TCP) or Stream Control Transmission Protocol (SCTP) which are designed for this purpose. 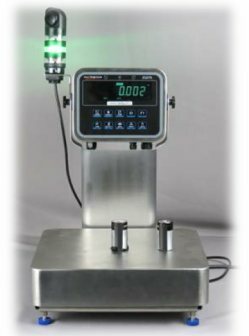 So if UDP is a technology that you require or perhaps one of your pieces of existing equipment requires, then we now have the ability to provide you with a weighing solution for that. Contact our sales team for a quote today. The Avery Weigh-Tronix BSQ is a highly accurate digital bench base with over 1 billion internal counts and a readability of over 3.5 million divisions (unapproved). In practice, this means that the Avery Weigh-Tronix BSQ scale platform can detect even the tiniest of weight changes with astounding precision. Featuring the very latest state of the art suspended Quartzell technology, the BSQ guarantees repeatable balance accuracy at all times. Small and large items can be weighed on a single base, allowing one scale to do a job that might previously have required several. 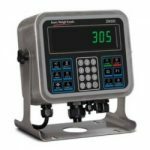 With a fast return to zero between readings, the Avery Weigh-Tronix BSQ scale base provides the speed and repetitive accuracy that can be vital in situations where highly accurate weight readings are required. When used with the ZM400 series indicators, the BSQ bench base can accurately display down to 0.01g, giving balance accuracy but with the strength required for use in an industrial environment. We put together a list of the most common Frequently Asked Questions (FAQ) below. What are the advantages of using Quartzell over Analog strain gauge load cells? the impact of environmental influences, such as changes in temperature and pressure. What is meant by Internal Resolution? accuracy. For example, see the chart below. Avery Weigh-Tronix has improved the successful NCI 7800 series of post, mail and shipping scales, to bring them into line with the modern requirements of postal operations. The main change is the addition of improved connectivity options. The 7800 series will retain all of the key features that have contributed to the success of the range over the years, offering an affordable entry level shipping scale with a robust design. However, changes within the postal and shipping industry have seen POS terminals advance and communication methods improve. So the factory has brought the range into line with modern requirements by adding USB HID and USB VCP ports to many of the models as standard. The NCI 7800 series scales have also been re-branded with the Avery Weigh-Tronix overlay design which now resembles the Avery Weigh-Tronix family branding that you may have noticed on some of their newest indicators for example. Please note that we ship our NCI scales straight from the factory, so you even if our part numbers on the website are old, you will receive the brand new stock direct from the Avery Weigh-Tronix scale factory in Minnesota. Our range of electronic postal scales, available from Central Carolina Scale are extremely accurate, developed together with high volume shippers, and designed for use in a range of environments, from retail counters to back office systems. Most are highly connective, able to integrate into existing POS and data systems. These scales can stand up to a busy day in the post office or mail room, day after day, and still accurate enough to display small differences in box weight. The postal scale range features easy to use operator displays, for error free, rapid customer service. Our extensive range of industrial products applicable to the postal logistics industry that can enhance your productivity and increase your company profitability. Contact us if you have any questions. (919) 776-7737 or visit our website and complete the request for quote/information form. 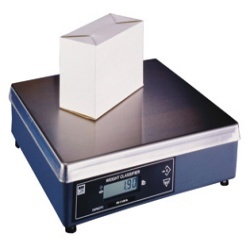 NCI 7600 series scales are being discontinued effective December 31, 2015. Central Carolina Scale and Avery Weigh-Tronix will continue to provide service spares (repair parts) as long as components are available, for up to five years. All new orders for the NCI 7600 scale(s) must be received no later than close of business on December 31, 2015. Our selection of post, mail and shipping scales are highly accurate, developed in partnership with our customers and designed for use in a range of environments, from retail counters to back office systems. Most are highly connective, able to integrate into existing point of sale and data systems. The scales can stand up to a busy day in the post office or company mail room, year after year, and still determine small differences in weight. The postal scale range features easy to use operator displays, for error free, fast customer service. Avery Weigh-Tronix boasts an extensive range of industrial products applicable to the postal logistics industry that can enhance productivity and optimize your shipping process. The ZP900 is available in a range of base sizes and configurable capacities to meet the needs of the postal industry. The modular design provides a range of solutions which are easy to service and maintain, while the range of customer and operator display options provides added flexibility. A range of connectivity options, including serial, Ethernet and USB with UPOS and OPOS support, facilitate integration with third party software and hardware solutions. Avery Weigh-Tronix floor scales are designed to be used in tough industrial environments. Renowned for their strength, reliability and accuracy, these floor scales have stood the test of time in harsh environments all over the world. 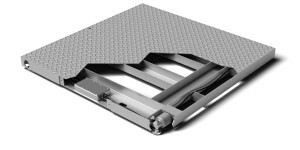 The floor scales are available in a range of sizes, capacities and prices to suit every application. All floor scale models can be paired with a range of indicators, software and accessories for a complete weighing and data management solution. Avery Weigh-Tronix ProDec floor scales are built tough and have earned respect in the marketplace for their durability and overall value but, let’s face it, that also means they often don’t have the easiest life. Besides enduring pallets and other objects dropped on them and dragged across them, there are also the occasional (or maybe frequent) side impacts as pallet jacks or forklifts run into them. For situations where added scale protection is deemed necessary, we can get a quote from Avery Weigh-Tronix for bumper guards that are designed to protect the sides of the platform by deflecting the forks and reducing the effect of lateral forces. 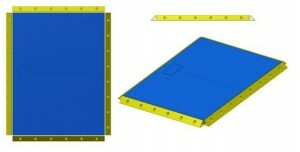 We can also provide mounting plates which can be anchored into the warehouse floor and keep scales from sliding. Call us today (919) 776-7737 to get started. flow productivity. Take a look below at just a few of the weighing solutions available that can help your business. A scale system capable of legal-for-trade weighing can prove to be an invaluable asset in the logistics industry, as revenue is commonly based upon the weight of commodities purchased by or shipped for customers. Legal-for-trade accuracy is required for business transactions where goods are bought or sold by weight. Avery Weigh-Tronix provides a wide range of legal and non-legal scales, but the benefits of a legal-for-trade system extend beyond legality into a scale system that provides reliable, repeatable weighing of goods ensuring customer satisfaction, precise billing and accurate inventory records. Properly managing inventory and billing in warehouse and distribution center environments depends upon documenting and weighing both inbound and outbound freight. With the high cost of fuel, bulk carriers have to balance the need for optimal loading with concerns about safety. Truck scales and axle weighing systems from Avery Weigh-Tronix will help ensure that trucks are loaded to the ideal weight and conform to stringent legal maximum-weight regulations. Accurate weighing helps companies avoid costly fines as well as premature vehicle wear due to excessive loading. For increased effciency, truck scale controls may be integrated into a standalone console that facilitates unattended weighing operations. The terminals enable drivers to complete weighing transactions 24/7, without leaving their cab. The result is that your truck scale can run smoothly without a dedicated operator. This results in reduced operating costs, extended hours of availability and improved health and safety by allowing the driver to stay within their vehicle. Well, you had to know if any of our scale suppliers that we represent provided us a story about Krispy Kreme, we would be all over it. Well, recently the ZQ375 Checkweigher from Avery Weigh-Tronix provided some great benefits to the Krispy Kreme company and helped the company to meet quality and hygiene standards. Below is a case study to further discuss the scale and its benefits. Krispy Kreme is relying on Avery Weigh-Tronix’s new ZQ375 checkweigher to help maintain its daily doughnut production for the North East of England. Krispy Kreme’s well-known doughnut shops can be found in over 730 locations in 21 countries around the world. Its new Newcastle (UK) Hotlight store produces 16 different varieties of doughnuts for its own on site retail store, its other regional outlets and retailers such as Tesco. The company has just installed a 6 kg and a 45kg ZQ375 checkweigher at its Newcastle store to weigh its ingredients prior to baking. Empty containers are placed on the scales and then filled with the ingredients for the batter or the fillings. Krispy Kreme prides itself on providing fresh doughnuts daily, so the equipment must be reliable, robust and easy to clean. Of particular importance is the scale’s IP69k rated enclosure, which allows the check weighing scales to be thoroughly cleaned without fear of water or particle ingress. It has a smooth, polished surface finish, curved corners and an easy to remove cover. The design minimizes the growth of micro-organisms on the scale and limits food trap areas where bacteria can thrive. This is another example of how food processing businesses are relying on the Avery Weigh-Tronix ZQ375 digital scales for accurate weighing. Your business would more than likely benefit from one of these check weighing scales as well. 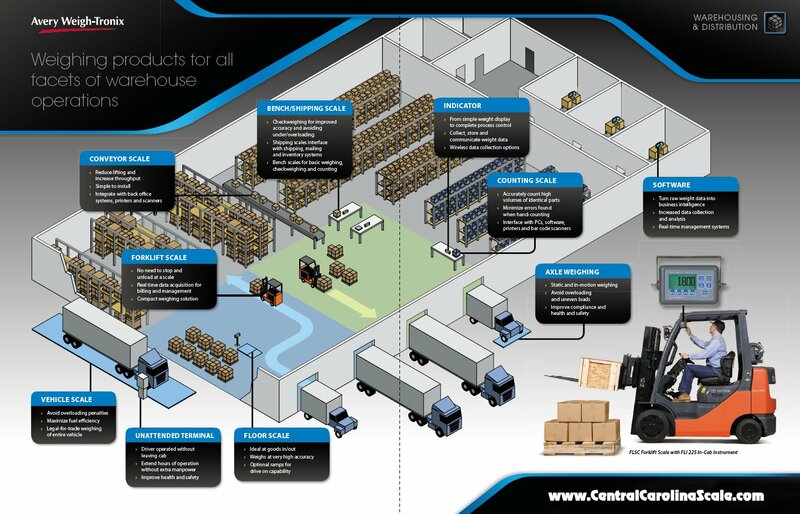 Contact the sales team at Central Carolina Scale for an analysis of what item(s) would work best for your application.